All week long I’m thinking about the Bible points for our Vacation Bible School and what they mean for adults. This week will be a mix of some old and some new as I share these lessons. Tonight at Kingdom Rock VBS (Group Publishing), we’re learning: The Bible Help Us…Stand Strong! Dumbo gets me ever time. It’s the one Disney movie I remember bawling at as a kid. I haven’t gotten over it either, not after all these years. Once one of my girls found a storybook at the library about Dumbo. She checked it out and then climbed up in my lap at home so I could read it to her. At first it was easy. Baby elephant with big ears . . . Blah blah blah . . .
Everyone makes fun of him, mocking and taunting (sniffle, sniffle). The mommy tries to defend him and they lock her up. Dumbo gets dragged away from her, their trunks locked in embrace until the last possible second . . . Someone please pass the tissues! I just can’t do this story without tears. In fact, it’s hard for me to do this story at all. I sent the book back to the library ahead of time and I can’t bring myself to watch the movie. It’s just not worth the blubbering, red-faced mess I become. Sure it’s a cartoon elephant who ultimately flies and makes friends, but it’s still a child hurt by the cruelty of others and taken away from his mama! In Scripture, we see people reacting even more intensely than me snatching tissues out of the box at the slightest reminder of Dumbo’s story. Not because of a fictional scenario, though. They were hearing God’s Word. Eighteen-year-old Josiah, for example, was king of Judah when a member of his court went to the temple to perform some administrative tasks. There he met the High Priest, who announced that he “happened” to have found the Book of the Law. “When the king heard what was written in the book, God’s Revelation, he ripped his robes in dismay. And then he called for Hilkiah the priest, Ahikam son of Shaphan, Acbor son of Micaiah, Shaphan the royal secretary, and Asaiah the king’s personal aide. He ordered them all: “Go and pray to God for me and for this people—for all Judah! 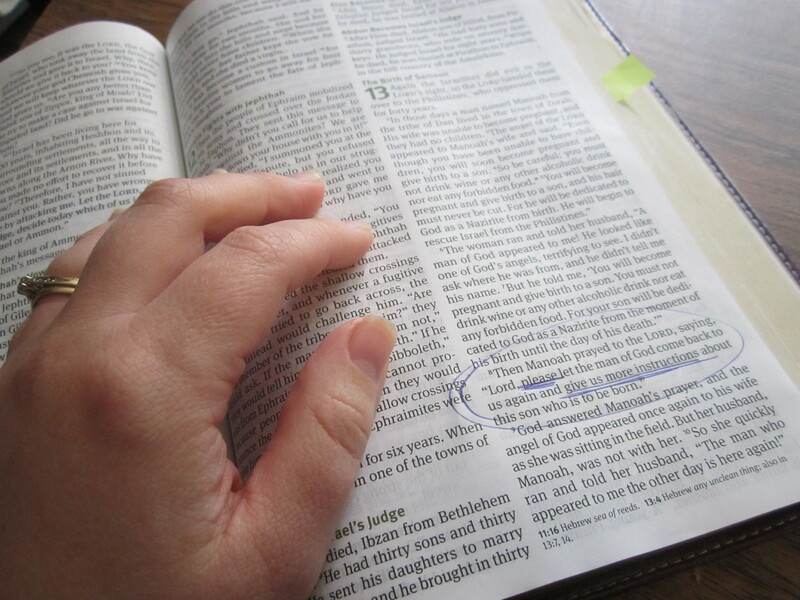 Find out what we must do in response to what is written in this book that has just been found!” (2 Kings 22:11-13 MSG). Josiah knew that God’s Word requires a response. In the same way, when the exiles returned to Jerusalem and stood inside the rebuilt walls of the city, Ezra the High Priest read the Book of the Law of Moses to everyone. Men and women and kids old enough to understood stood from morning until lunch time listening to him read Scripture aloud. Just God’s Word. And nothing else. For hours and hours. They didn’t yawn, tune it out, roll their eyes, poke their neighbor, or skip attending so they could do chores or kick back with the latest release of ancient Middle-eastern epic poetry. Instead, “Ezra blessed the Lord, the great God, and all the people answered, ‘Amen, Amen,’ lifting up their hands. And they bowed their heads and worshiped the Lord with their faces to the ground” (Nehemiah 8:5-6). “And all the people went their way to eat and drink and to send portions and to make great rejoicing, because they had understood the words that were declared to them” (Nehemiah 8:12 ESV). Their response to Scripture was emotional and intense. There was true repentance and grief over how their sins had broken the heart of God. There was a hunger for more and the willingness to stay as long as it took to hear what God had to say. There was passionate worship with shouts of “Amen” and bowing low to the ground in awe of Mighty God. How do you respond to God’s Word? If we pick it up and read it with unemotional disinterest or with a bored and distracted mind we are missing it! We are missing out on all the power of Scripture to revolutionize our hearts and minds, driving us to repentance, inciting us to intensely passionate worship and filling us with the kind of joy that makes us want to tell everyone what we’ve learned. Scripture can’t be a mandatory item on our to-do list or an occasional emotional pick-me-up we drag off the shelves and dust off anytime life gets hard. Maybe you’ll need some of my tissues or maybe you’ll dance, but either way you’ll be giving God’s Word the response it deserves and you’ll allow the Bible to be your rock-solid foundation in any circumstance present and future. The Bible will help you stand strong. I really can’t thank you enough for your insight of scripture. I have found myself in a place that I never though I would be as a Christian. Just skimming over the word and dragging myself along half heartedly. Just this morning I talked to God about this very subject, and I came out an opened my email and found this devotion. Please don’t stop writing, I have been a Christian for many years and I still struggle with consistency in my devotion and prayer time with God. Thank you for your consistency. God’s timing is so perfect! Thank you for sharing from your heart, Tina. I think there is a danger for all of us that our time with God and in His Word becomes half-hearted, routine, part of a to-do list. You are so right to be honest with God and beg Him to make Scripture come alive and breathe life into us again!! !